Real-world evidence is continuing to climb up the agenda for health systems and the pharma industry, and this trend was confirmed last night at the UK Prix Galien awards. Sometimes dubbed the ‘Oscars of the pharma industry’ the Prix Galien awards are held in 17 countries around the world, with individual nations holding awards every two years to recognise the most innovative drugs. 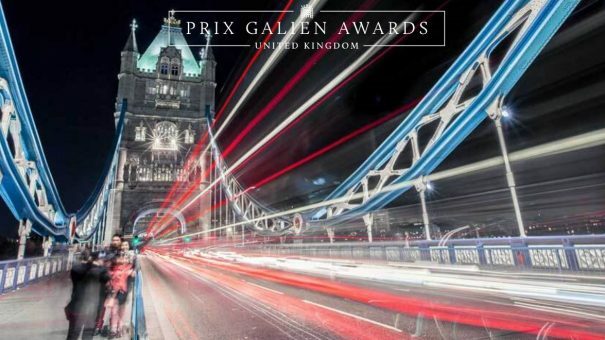 This year, the UK Prix Galien awards became the first in the world to add a Real-World Evidence category, alongside the more familiar Innovative Product Award and Orphan Product Award. Winning the main prize was Novartis’ Entresto, which was praised by the judging panel as a ‘breakthrough’ for heart failure treatment. There were also commendations in this category for Takeda’s ulcerative colitis treatment Entyvio and Brisol-Myers Squibb’s immuno-oncology treatment Opdivo. In the orphan product award the winner was Chiesi’s Holoclar. The product is the world’s first stem cell-based product to gain approval, and is used to repair the cornea after injury. A commendation was awarded to Alexion for Strensiq, its treatment for the rare disease childhood-onset hypophosphatasia. Finally in the real-world evidence category, Astellas Pharma won the inaugural award, thanks to some pioneering work around the introduction and use of its new antibiotic Dificlir. Astellas’ drug is a treatment for clostridium difficile infection (CDI), which was launched in the UK in 2012, and received a commendation at the last UK Prix Galien awards to years ago. The introduction of a new antibiotic raises specific challenges for the NHS and pharma. Antimicrobial prescribing needs to be carefully monitored to ensure they are used appropriately and doesn’t encourage further ‘superbug’ strains to emerge, but pharma companies also want to see return on their investment. 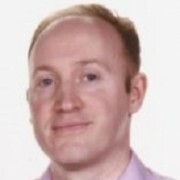 This led Astellas to carry out a series of local service evaluations in 2013–2014 to evaluate the impact of Dificlir introduction on the NHS. These real-world evidence (RWE) evaluations included investigations into its effects on service delivery, the management of CDI and its costs, with a view to inform local decision making. Speaking about the rationale for introducing the pioneering award he added: “The UK Steering Group felt that the time was right, particularly as many organisations have begun to initiate important pieces of evidence collection following the launch of their products. Another company shortlisted in the RWE category was Celgene, and it gained a ‘highly commended’ award for its work around its drug Vidaza (azacitidine). The company worked with the NHS to analyse the NHS Hospital Episode Statistics (HES) reimbursement database, examining the duration of treatment used in routine clinical practice in patients with Myelodysplastic syndromes (MDS) in England. The research helped uncover variations in clinical care of patients. Dr Killick added that the research tapped into an existing database and said it had the potential to help reduce variation and improve patient care. It’s clear that carrying out RWE is no small undertaking, and there are very few standard rules around issues such as funding and access to data generated from this research. Alongside that, expectations around what RWE can do can sometimes be unrealistic. All told, that means there is still a long way to go before RWE becomes a fully integrated part of how the pharma industry and the NHS work together. Allowing it to rub shoulders with the innovation of newly-launched drugs such as Entresto and Holoclar in the prestigious Prix Galien awards goes some way to raising RWE’s profile and uptake. Click here for a full list of the shortlisted finalists.